Planmate, Planhorse, Hang-a-Plan and Draftex. The slim and leightweight design will suit most office spaces and building sites. They are available in A1 sized Trolleys, holding up to 12 and 24 plan hangers. 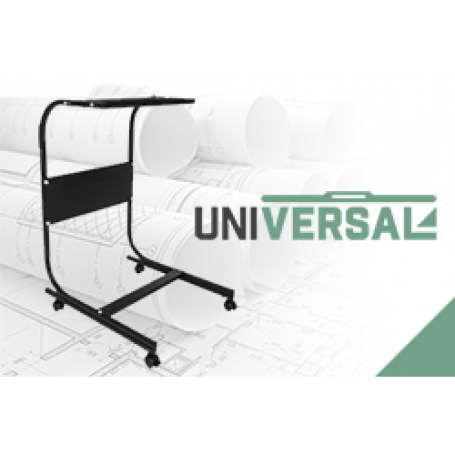 Universal Trolleys are tested to support up to 200Kg of weight.